Peel Thunder Football Club is hosting the JLT Community Series Derby clash between Fremantle Dockers and the West Coast Eagles on Sunday March 10th at David Grays Arena. The JLT Community Series brings AFL matches to regional communities, allowing them to experience the fast paced action of the AFL in their own backyard. What a great way to bring people to Visit Peel. Bounce down at David Grays Arena will be at 4:10pm with a curtain raiser scheduled before the main fixture, followed by rocking band Dirty Little Secret The Band. Make sure you get there earlier to check out the Family Fun Zone for AFL merchandise, food and beverage and the FREE football activities. General admission tickets and reserve grandstand seating bookings are being taken at the Club. 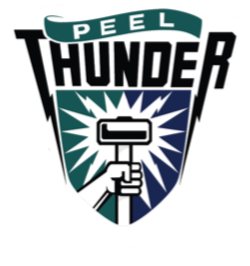 THIS EVENT WILL SELL OUT - express your interest with the Peel Thunder Club (08) 9537 5400. Thank you to the City of Mandurah, AFL and WAFL for their support of this event.